Westgate Skin & Cancer (Austin) - Book Appointment Online! 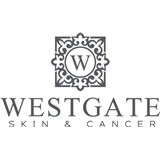 Westgate Skin & Cancer focuses on medical dermatology, cosmetic dermatology, and procedural dermatology. We provide general medical skin care, treatment of skin diseases, treatment of skin cancers, and using the latest technology and techniques when providing cosmetic procedures. Exceptional medical care, surgical care, and cosmetic care are provided for patients of all ages. The practice treats conditions such as melanoma, eczema, acne, psoriasis, contact dermatitis, skin cancers, age spots, sun damage, melasma, benign growths, wrinkling of the skin, and aging of the skin. We strive to make every patient's experience an outstanding one. Dr Richardson was knowledgeable, friendly and so easy to ask questions of. She immediately diagnosed a small spot on my arm I was worried about and set me up with a treatment plan. Her staff was helpful and quick setting me up as a first time patient. Would definitely recommend!